Dirty Tomahawk Steaks. June 1, 2013 by countrywoodsmoke 13 Comments. Well this Barbecue Season I really have gone all “Dirty” on you, here’s the pinnacle of these big joints of dry aged beef cooked straight on the coals. I always enjoy a visit to my local Butcher especially when he tells me he has something a bit special he’d like me to try. 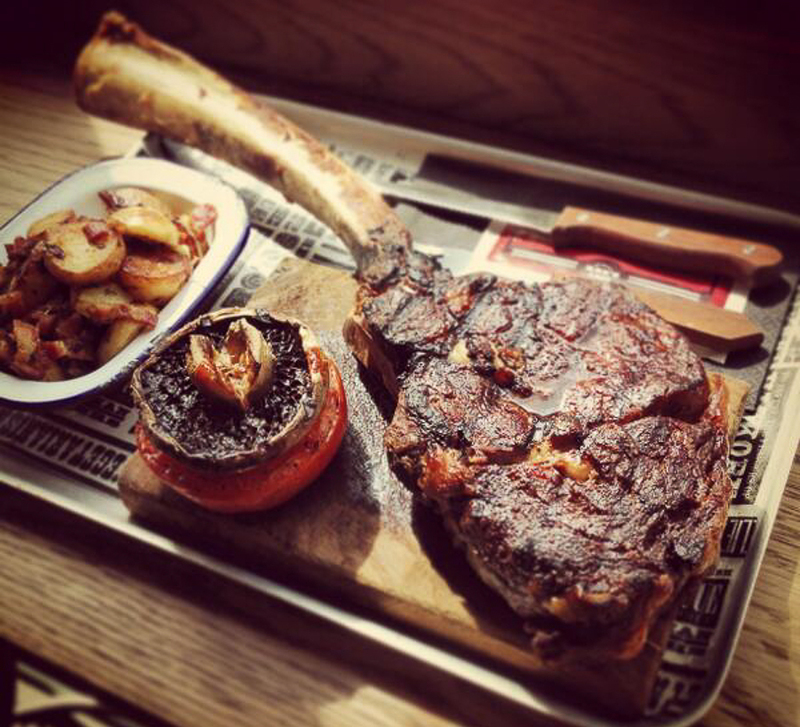 I’d seen the Tomahawk steaks on a previous... Remove the steaks and the extension rack from the grill. Return the steaks to the grill over high heat and grill 3-4 minutes per side for medium rare (130 degrees). Remove, plate, and top with the garlic-shallot butter. Allow the steaks to rest for 10 minutes before serving. Remove the steaks and the extension rack from the grill. Return the steaks to the grill over high heat and grill 3-4 minutes per side for medium rare (130 degrees). Remove, plate, and top with the garlic-shallot butter. Allow the steaks to rest for 10 minutes before serving. how to delete private video from a youtube playlist Remove the steaks and the extension rack from the grill. Return the steaks to the grill over high heat and grill 3-4 minutes per side for medium rare (130 degrees). Remove, plate, and top with the garlic-shallot butter. Allow the steaks to rest for 10 minutes before serving. Dirty Tomahawk Steaks. June 1, 2013 by countrywoodsmoke 13 Comments. Well this Barbecue Season I really have gone all “Dirty” on you, here’s the pinnacle of these big joints of dry aged beef cooked straight on the coals. I always enjoy a visit to my local Butcher especially when he tells me he has something a bit special he’d like me to try. 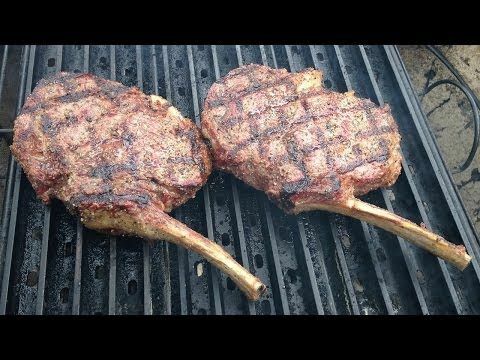 I’d seen the Tomahawk steaks on a previous how to cook tuna steak on stove Remove the steaks and the extension rack from the grill. Return the steaks to the grill over high heat and grill 3-4 minutes per side for medium rare (130 degrees). Remove, plate, and top with the garlic-shallot butter. Allow the steaks to rest for 10 minutes before serving. Remove the steaks and the extension rack from the grill. Return the steaks to the grill over high heat and grill 3-4 minutes per side for medium rare (130 degrees). Remove, plate, and top with the garlic-shallot butter. Allow the steaks to rest for 10 minutes before serving.